Question: My thinking is that the vast majority of people today only have 2 active strands of DNA and only 10% of their brains functioning on all cylinders so to speak, hence disease, violence, and a lack of knowing how connected they are to their creator. As Gaia moves towards a 5th dimensional vibratory rate, Im wondering how far of a jump of active strands of DNA do you feel humans might make in the present energy shift and what might this imply in terms of our way of living and overall capabilities while in embodiment?……..
Needless to say Im a little tired of hearing of “junk DNA” from “scientists” ….. The second part of my DNA question is in your incarnation as Jeshua 2000 years ago, how many active strands of DNA did you have and how many active strands does one have to have to do the sort of advanced healing work you did and perform the “miracles” like walking on water\ intricate manipulation of matter and defiance of the “laws” of physics? Can you speak about the “Saint Saint Germain Layer” of DNA and how that works? This question opens up a number of interesting perspectives, so I will give several thoughts on it—the most important one being at the end. Assembly instructions for how to make proteins. Control instructions for when to make certain proteins. Instructions for how to transfer and combine proteins. DNA contains NO OTHER instructions. In other words, the function of DNA is to allow the cell to construct proteins, which might be seen as the building blocks of the cells. DNA has no other function. This fact can be found in any biology textbook, yet the popular perception of DNA is that it contains all of the information needed to construct a biological “mechanism” as complex as a human being. In other words, most people have been indoctrinated to believe that every aspect of their beings – including their personality and even their spiritual faculties – is stored in their DNA. In reality, DNA can be compared to a mason who knows everything about how to make and stack bricks yet is unable to draw an architectural plan for a house or do the engineering calculations. In reality, the mason himself could not build a house but needs someone else to provide the blueprint. Likewise, DNA cannot construct a human being with all of its complex psychological and spiritual faculties. It cannot even construct the human body without being directed by an intelligent being who can read the blueprint and thus activate the DNA and get it to build the proteins that make up the cells. My point is that if you look at a specific hereditary trait, such as the color of your eyes, the information that determines your actual eye-color is not contained in the DNA. It is contained in the blueprint for your body and is communicated to your DNA at the appropriate moment. This blueprint is contained in an energy field which stores information that cannot be stored in the DNA. The energy field is partly created by combining the energy fields of the parents with the energy field of the incoming lifestream. The actual traits of your body and outer mind are communicated to the DNA by an intelligent being – called a “body elemental” – which is able to read the blueprint and communicate it to the DNA. The simple fact is that the discovery of DNA became a very convenient way for materialistic scientists to ignore some of the weaknesses in the theory of evolution. This theory cannot answer a number of questions, including how an organism can “adapt” to an environment in which it can neither survive nor reproduce—which is what life had to do to move from the ocean to dry land. So by creating the myth that DNA contains all of the information necessary to produce a human being and that DNA can “mutate” in random ways, materialists believed they could explain every aspect of evolution—even though they cannot explain exactly how DNA constructs a body when it only knows how to build proteins. Neither can they explain how a purely mechanical process – the production of proteins – can account for the existence of scientists who are consciously investigating the DNA. My point is that materialistic scientists have created a fictional overlay upon the solid scientific findings about DNA. They have not been willing to acknowledge that DNA ONLY contains instructions related to protein production and that this cannot account for the higher faculties of the human mind. Thus, they have turned DNA into a black box in which they can postulate the existence of mechanisms that cannot be proven scientifically. They simply assume that every question that cannot be answered by the theory of evolution has a mechanical answer that they have not yet found. They believe that one day scientists will pull this mechanical explanation out of the black box of DNA, as a magician pulling a rabbit out of a black hat. This allows them to ignore the fact that the theory of evolution is not a complete theory and that it will never explain the origin of life—unless it is expanded to include the existence of energy fields that use DNA as a communications interface with the cell. The simple fact is that after materialistic scientists had created a myth about the “infinite” amount of information stored in the DNA, certain spiritually minded people built upon this fiction and created the theory that there are more strands of DNA than the two discovered by science. Thus, in order to unlock your full spiritual potential, you “only” have to activate all of your strands of DNA – be that 12, 44, 144 or however many – which these people can – conveniently – do for a fee. Do you see my point? The idea that your spiritual abilities are mechanical and are stored in a mechanical device such as DNA – or even an energy field – is a double-fiction that started with people who has an agenda to “prove” that life has no spiritual side. The fiction about DNA created by materialists has simply been taken to another level by people who are spiritual and might have good intentions but who lack Christ discernment. The simple fact is that the higher spiritual faculties are NOT dependent upon the physical body and do not need DNA to be activated. They are dependent exclusively on the lifestream’s maturity, which is not something that can be limited by or unlocked by a mechanical process. It is a creative process that involves choices you make, and spiritual growth cannot be reduced to a mechanical “device.” True spiritual growth requires the raising of your consciousness until you become able to use the higher spiritual laws that allow you to have the mastery of mind over matter. You cannot – which should be logical – exercise the mastery of mind over matter by using a device – the brain and body – made out of matter. My point being that it simply does not make sense to take the purely physical, mechanical device of DNA and extend it by postulating the existence of a non-physical or spiritual DNA that can be unlocked and magically give you superhuman abilities. This is simply a modern equivalent of the age-old dream of an automatic or mechanical salvation. Take note that I am NOT denying that you have an energy field that stores information and that this is done in a somewhat mechanical manner. Nor am I denying that you have latent spiritual abilities that need to be “unlocked.” I am saying that unlocking your spiritual potential is not a mechanical process that someone can do for you in 15 minutes—or in any length of time. It is something you must do for yourself through a process that is NOT mechanical but creative. Spiritual growth is protected by a safety mechanism designed to make sure that those who have not risen above the selfishness of the ego cannot attain unlimited power. The dream that it is possible to mechanically unlock spiritual powers – without abandoning the ego – is a false dream that has been constructed and kept alive by those who seek to deceive spiritual seekers into following the false path that can never lead to the Christ consciousness. Furthermore, the spiritual abilities that can be unlocked are those that you had attained before you “fell” into the duality consciousness and created the ego. Depending on the individual lifestream, these abilities might not be that advanced. Above and beyond that, spiritual abilities have to be developed, and thus it is not a matter of simply unlocking something you already have. It is another fictional concept that your lifestream was created with unlimited or god-like abilities. Your lifestream was created with limited abilities and was meant to develop its abilities by wisely exercising its free will. The potential for what can be developed is unlimited, but it has to be worked for—not magically unlocked. Let me give you a sketchy example of how far these false teachers will go in order to ensnare those who are not alert. Some of the proponents of the existence of extra strands of DNA have attempted to support their theory by referring to a book by Zecharia Sitchin called The 12th Planet. Some people have taken Sitchin’s findings and built unto them. The basic idea is that – based on archeological evidence and ancients texts – the earth had been visited by aliens in spaceships. These beings came here from a planet that is part of this solar system but takes 3600 years to complete one revolution around the Sun. Thus, every 3600 years, this planet – called Marduk, Niburu or Planet X – is close enough to the earth that beings from it can visit this planet. These beings supposedly visited earth in the past and had technology and abilities that were far beyond what human beings have today. Thus, they were seen as gods by certain ancient civilizations and their sophisticated technology – including rocket ships – was described in ancient texts. The aliens supposedly came to earth to mine its resources. Yet because they were not willing to do the hard work, they attempted to create a slave race out of their own DNA, which had 12 strands to account for their god-like powers. Yet even this became problematic, and thus the aliens merged their own DNA with that of Homo Erectus to create Homo Sapiens as a slave race to harvest the resources they needed. In this process they deactivated 10 strands of DNA which supposedly accounts for the fact that Homo Sapiens only has 2 strands of DNA. One might wonder why these genetic scientists did not simply leave out the other 10 strands of DNA instead of deactivating them? Of course, that would invalidate the theory that you can activate the other 10 strands and thereby magically acquire god-like abilities. Which in turn would make it unnecessary for you to purchase the services of those who claim they can activate your DNA. The reason I am giving this brief summary of an elaborate theory is to show you that it is extremely important for spiritual seekers to use Christ discernment, even common sense and logic, when evaluating such claims. In this case, take the idea that there is a planet which orbits your Sun and takes 3600 years to complete one rotation. This planet supposedly has an elliptical orbit that in one extreme takes it closer to the Sun than the earth and in the other extreme takes is much farther away from the Sun. If such a planet did exist, it would at one point be so close to the Sun that it would be much hotter than earth. At the other extreme of its orbit it would be so much farther away from the Sun that it would be much colder than the earth. Thus, if life did exist on such a planet, it would have to be able to adapt to these extremes in temperatures. This, in itself is highly unlikely, but now take it to the next level. Alien life developed on a planet with extreme swings in temperature and is able to adapt to these extremes. This form of life would have to be able to live in conditions that are similar to both Mercury and Pluto—both of which have no – material – life forms. This alien life form – adapted to extreme swings in temperature – would have DNA similar to the DNA that evolved in the much more stable environment of earth. The alien DNA is supposedly similar enough to earth DNA to be merged with an organism that has evolved on this planet. My point is to show you that these theories defy logic, common sense and Christ discernment. They are nothing but fiction made up to deceive spiritual seekers into blind alleys that consume their time and attention without ever leading to genuine spiritual growth. Take note that I am not denying that there existed past civilizations that were more technologically advanced than modern civilization. Nor am I denying that scientists in some of these civilizations had the ability to manipulate genes and in fact created many animal species and even influenced the genes of homo sapiens. However, the existence of advanced civilizations in the past does not necessitate alien visitors. This is another example of how some people build on the errors of materialistic scientists. These scientists postulate that human life has only existed on this planet for a very short time span. And they claim evolution can only go in one direction, thus there could not have been past civilizations that were more evolved than the present one. Both claims are incorrect since human life has existed on earth for millions of years and a number of civilizations have risen to great height only to self-destruct. Yet some people have taken this to mean that ancients accounts of advanced technology must come from alien visitations. If you look at the earth today, you will see an amazing range of technological abilities between tribes in the Amazon rain forest and western civilization. Even greater ranges have existed in the past, which accounts for the fact that certain past civilizations were visited by people with superior technology and mistook them for Gods because they arrived in rocket ships and had superior abilities. Yet the visitors simply came from another civilization on earth. My point is that the existence of ancient myths or even artifacts can be explained without postulating that earth was visited by alien civilizations. Likewise, the presence on earth of people who have superior abilities or knowledge does not mean that these beings traveled here in spaceships. The earth is a crossroads for lifestreams from many different planetary systems who have been allowed to embody in human bodies. Some of them have had a degree of memory of their lifestream’s origins on other planets or in distant galaxies. Thus, people have created the myth that they must have travelled here physically instead of incarnating. My thinking is that the vast majority of people today only have 2 active strands of DNA … hence disease, violence, and a lack of knowing how connected they are to their creator. All people have only 2 strands of DNA and that is all they need in order to ascend. The imperfections currently seen on this planet are not caused by insufficient DNA strands and cannot be fixed by activating “additional” strands of DNA because they simply do not exist. I’m wondering how far of a jump of active strands of DNA do you feel humans might make in the present energy shift and what might this imply in terms of our way of living and overall capabilities while in embodiment? There is no jump to make and there are no additional strands of DNA. Let me give a simple analogy. As you write an e-mail on your computer, you are using a computer program that contains instructions for how to form letters and display them on the screen. This computer program is completely mechanical and it does not understand the meaning of the words you are typing. It is simply an interface that allows you to interact with the hardware of your computer. Likewise, your DNA is only an interface that allows your lifestream and body elemental to interact with the hardware of your physical body. What comes out of your computer program is mainly the product of what you put into it. Obviously, the program sets certain rules for how you write, and it can even help you spell the words correctly. But the program cannot prevent you from writing a great literary work nor can it guarantee that what you write is not meaningless nonsense. The computer program only responds to your input and so does your DNA (except for some response to environmental input). Having “super-human” abilities is not a matter of activating super-human DNA. It is exclusively a matter of attaining the Christ consciousness whereby you can – while in a physical body – make use of the spiritual laws that supersede the material laws. 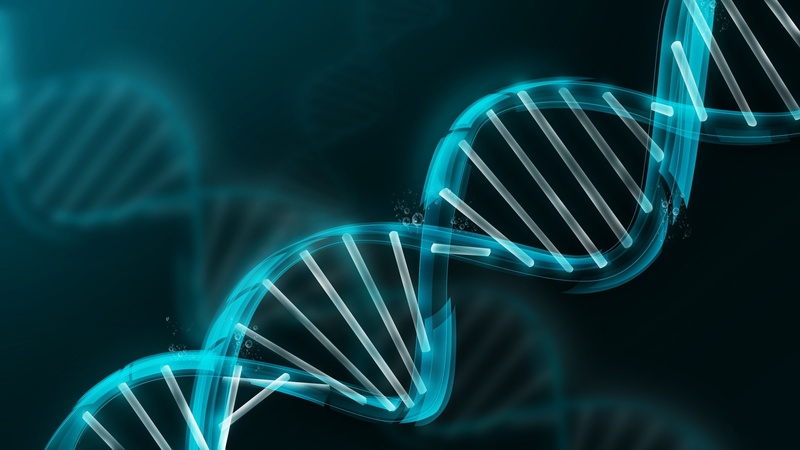 Scientists will one day discover that most of the so-called junk DNA has a function. However, there is a certain “waste” built into the workings of nature, at least as it currently functions on earth. Thus, some of this DNA truly has no function and carries no information. The second part of my DNA question is in your incarnation as Jeshua 2000 years ago, how many active strands of DNA did you have and how many active strands does one have to have to do the sort of advanced healing work you did and perform the “miracles” like walking on water\intricate manipulation of matter and defiance of the “laws” of physics? I assume you now realize that I had no more than 2 strands of DNA and that no more is needed in order to master the laws of nature. The idea that the Christ consciousness can be encoded in human DNA and can thus be inherited is another false idea construed by those who pursue a mechanical path to salvation. It is no more true than the idea that Mary Magdalene was the Holy grail and that certain royal houses of Europe carried the genes of the Christ consciousness and were thus more fit to rule the people. This is another false idea that has no bearing in reality. It is an example of how some people deliberately or ignorantly mix a false idea – extra DNA – with a true idea—the existence of Saint Germain as the spiritual hierarch of the Aquarian Age. They hope this can give their false idea some credibility and thus lure people who are interested in Saint Germain into taking a look at or even believing in their false idea. Let me make a clear statement. The ascended masters and the Great White Brotherhood NEVER use mechanical devices or processes as a substitute for or a shortcut to spiritual growth. There is no substitute that can allow you to grow spiritually without overcoming the duality consciousness of the ego. It is precisely this duality consciousness – in which any idea can be made to look plausible – that fools people into accepting the false belief that there is a shortcut or that they can mechanically unlock their spiritual potential. If you use your computer to enter one of the virtual reality environments created on the internet, you know you are entering a fictional world. You know this world is a computer game made up by other people and that it does not exist in the “real world.” You also know that such a made-up world has no connection to reality and thus you do not expect that by roaming around in this world long enough, you will eventually find a doorway that leads to heaven. The people who made this virtual world do not promise you that you will ascend after playing the game nor that you can get back the time you spent playing the game. Yet there are many channelers and other people who have created what is similar to a virtual world. Some of these people – even most of these people – have the best of intentions, but they do not have Christ discernment. Therefore, they have connected themselves to non-material beings who exist in the emotional and mental – even the lower etheric – realms. These beings have been in those realms sometimes for millions of years and they are very experienced in creating a world that seems real to those who have little discernment. In fact, they are so skilled at creating such a virtual reality that they have trapped themselves in their own worlds, which is why they have not ascended to the spiritual realm and joined the ascended masters. If a spiritual seeker enters one of these virtual worlds – by studying and believing some of the channeled teachings out there – it is very easy to roam around there for an entire lifetime without ever finding the doorway to heaven—for a virtual world can have no such doorway. Yet in the meantime, you give your spiritual light to those who have created that world and thus contribute to the continuation of the world, even making its magnetic pull stronger so it pulls in more people. By talking about these fantasies as if they were real, you might even influence other people and thus pull them in as well. Let me put this as clearly as possible. You can find any number of such virtual “spiritual” environments that are blind alleys. They might give you some growth, but they will never allow you to transcend the level of consciousness from which the world was created, and thus they are ultimately dead ends. You will not manifest Christhood or make your ascension as long as you allow yourself to remain in one of these environments. I HAVE HEREBY WARNED YOU!!! Let those who have ears hear. Let a word to the wise be sufficient.